Baan Rub Aroon Guesthouse is one of the rarest and finest of a Thai colonial style - house which is located on a quiet road in Chiang Rai. 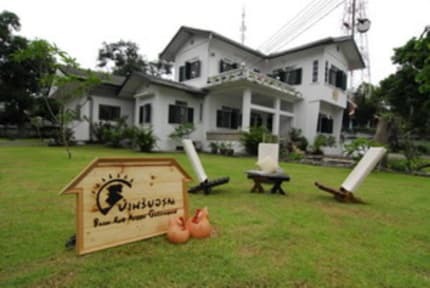 It is believed that 80 years ago, a leading citizen of Chiang Rai built this house. 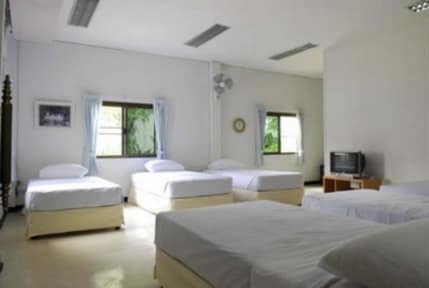 To provide a cosy and relaxing environment, we offer 5 rooms and a shared room for 6-8 persons. Cleaned & quality bed, fan, Air conditioning, towels and 21' flatron TV include in every room.